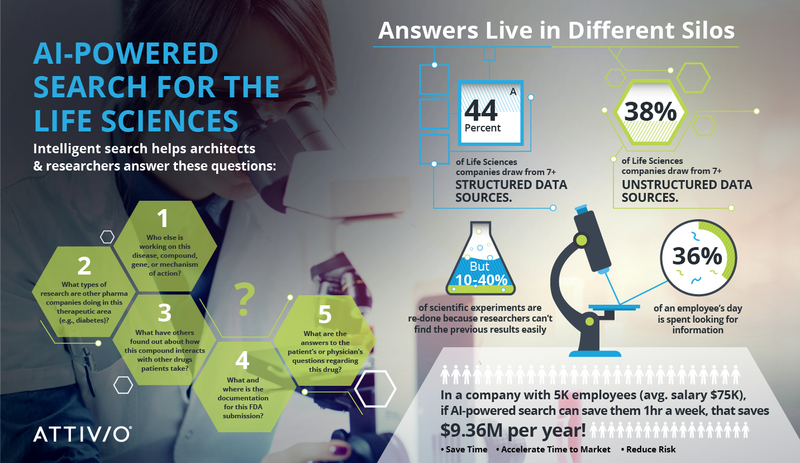 We've summed up some of the challenges and opportunities for AI-powered search in life sciences in a succinct infographic, embedded below. And if you want to learn more about how Attivio works with life sciences companies to improve productivity, accelerate drug discovery, and more, contact us. We'd love to chat!